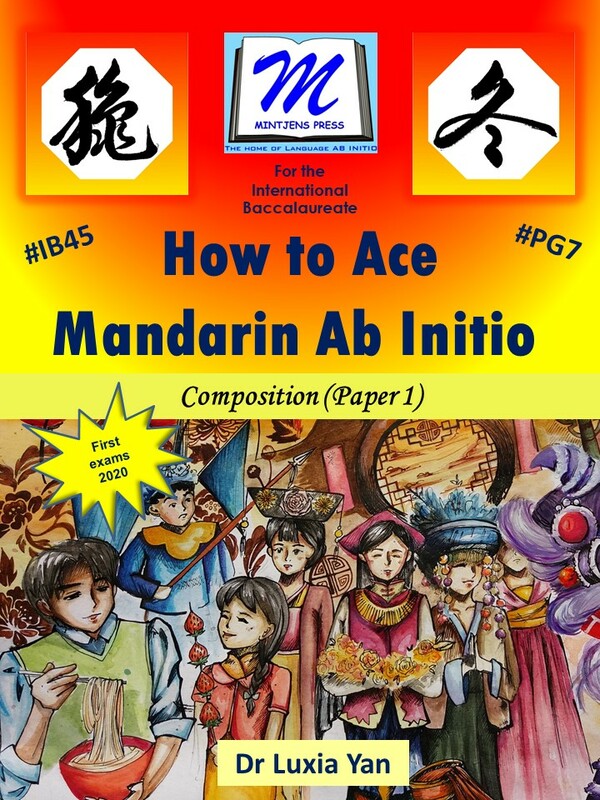 The “How to Ace Mandarin Ab Initio – Composition” workbook encourages the student to review the relevant vocabulary and grammar of the Ab Initio course through guided writing and to apply the features of a variety of text types in IB-style writing tasks. Through the revision of ten years’ worth of past IB Composition papers they will further familiarize themselves with the text types and with the topic-specific vocabulary. The student will be able to revise and practice the grammatical concepts learned and to apply these in creative and personalized writing tasks. The creative nature of this workbook allows for differentiation where they can challenge themselves to explore grammatical variations and to set minimum requirements. By the time the student reaches the end of this workbook, they will have a complete overview of the text types, the key vocabulary, the grammar points and the creative writing opportunities that the IB Ab Initio Paper 1 provides. The workbook is structured by Section and by text type. For each text type at least one sample exercise is provided in two versions : one with pinyin and the other without pinyin. The pinyin version will make it easier for the student to recognize and understand the sample texts while the non-pinyin version fully reflects the final examination. 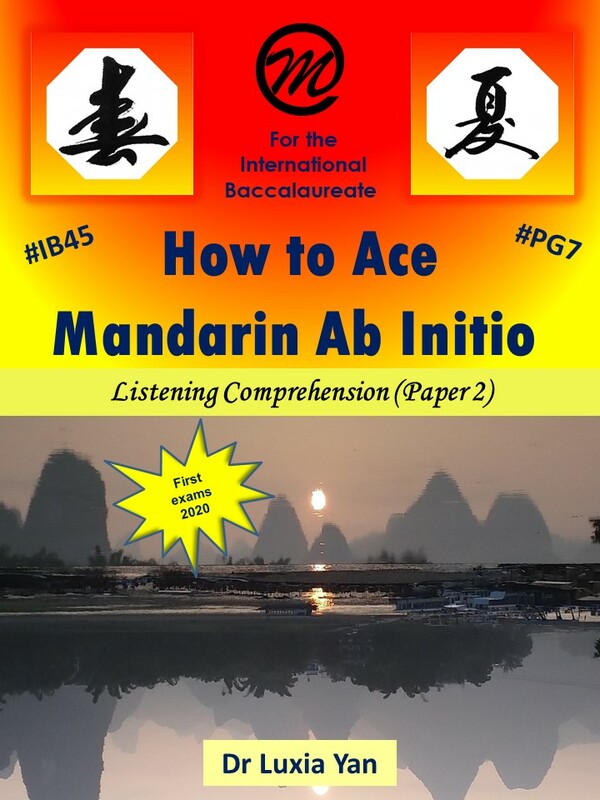 The "How to Ace Mandarin Ab Initio - Listening Comprehension" workbook is currently being written and will be published in due course. ​It will provide plenty of listening practice based on Ab Initio-level source texts and recordings. 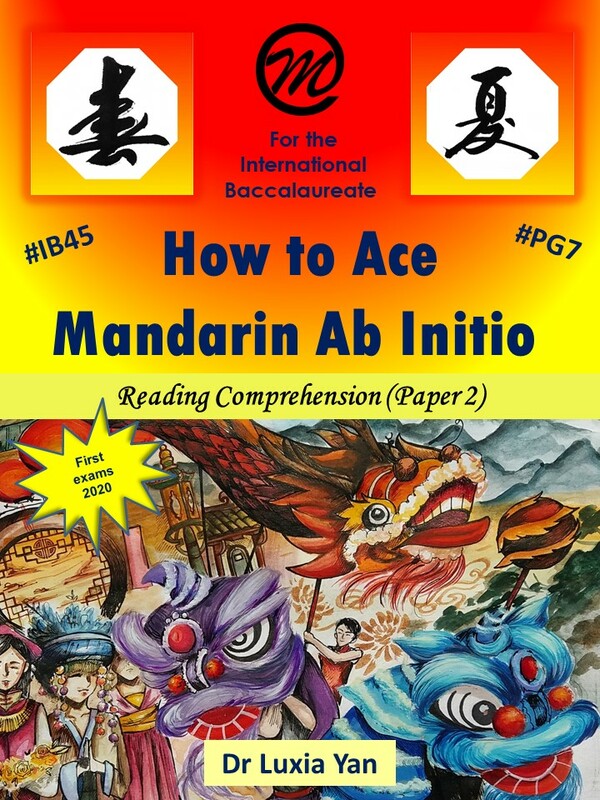 The "How to Ace Mandarin Ab Initio - Reading Comprehension" workbook is the ultimate exam preparation workbook for teachers and students alike. It is suitable for all beginning learners of Mandarin. Its practical approach to teaching and learning is based on past examination papers (the former Paper 1) from 2005 until 2017 and is arranged according to the five main themes and the twenty topics of the Mandarin Ab Initio course. This workbook is updated annually and provides a wide range of reading texts with accompanying questions. In addition, this workbook encourages the students to study and revise grammar points, key vocabulary, key structures and text types. Each reading text is accompanied by a variety of tasks, including reading, speaking and writing.